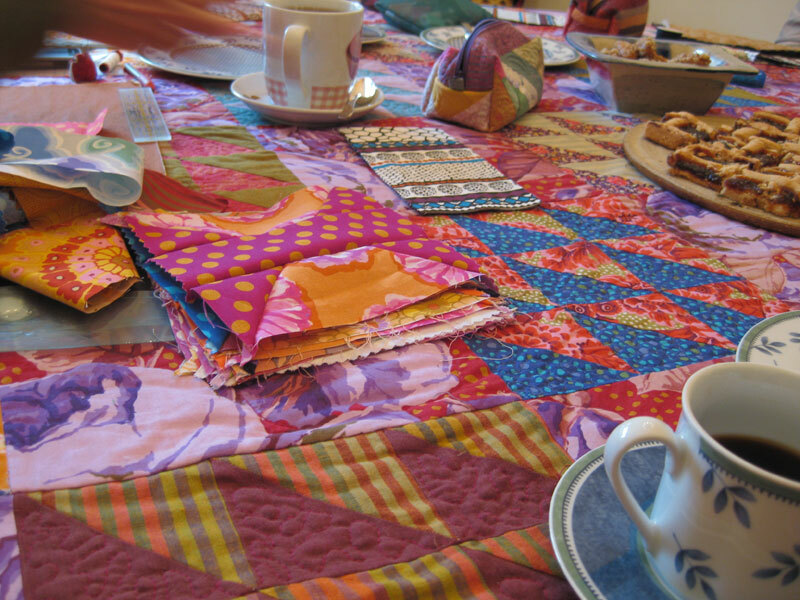 You have often seen in my posts Kaffe Fassett creations, so you understand that several persons in this group, me included, are fans of Kaffe Fassett fabrics. 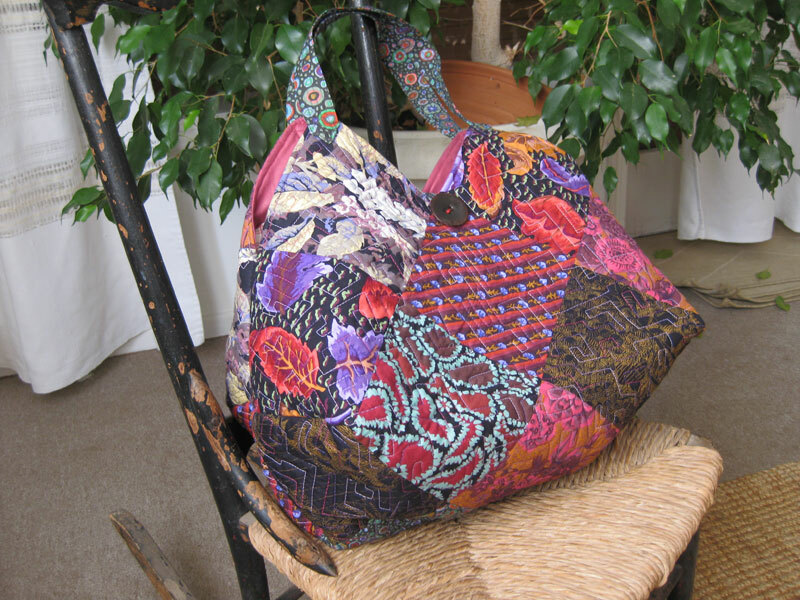 Here is a wonderful tablecloth and a bag done by Eleni. Agnes is preparing her spool blocks with KF dots. 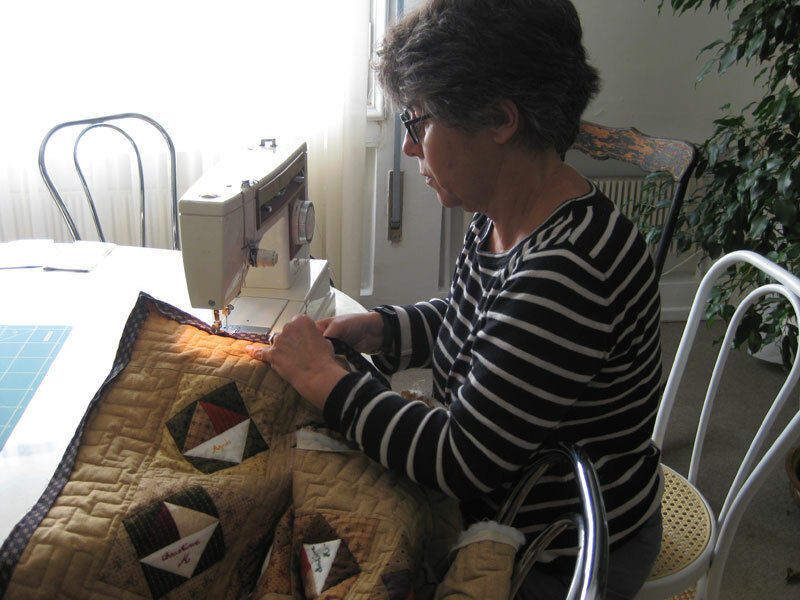 Last monday Eleni was helping Michele for the binding of her friendship signature quilt. 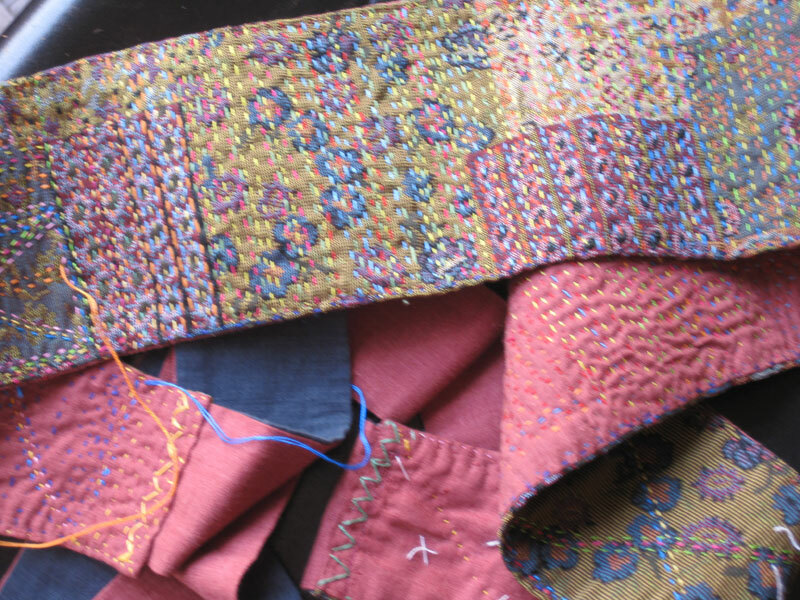 The marvellous belt is a work from Chantal. 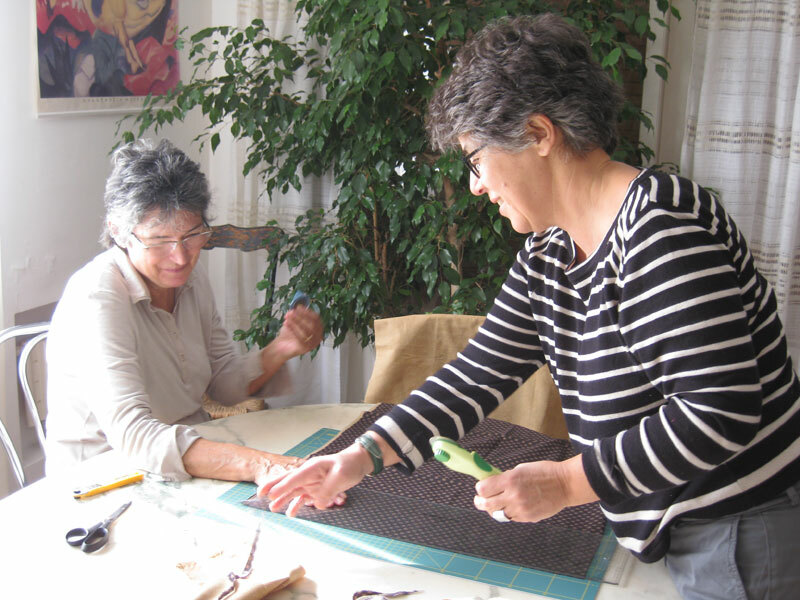 Some of us are sometimes alternating quilting, knitting or embroidering activities. 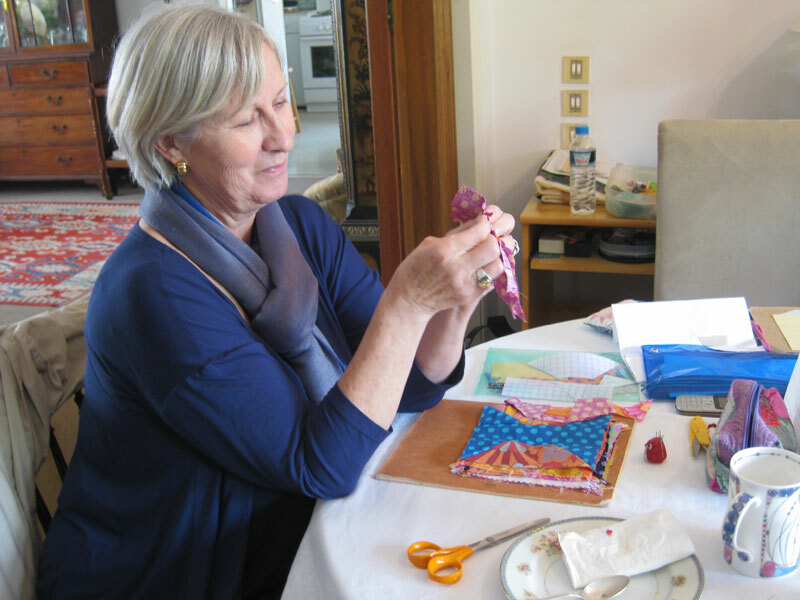 But whatever we do, we share the same love for handmade crafts and the same pleasure to be together! Hoping everybody enjoys such a nice group as ours! Thank you LeeAnna, I wish we would be closer! J'ai une amie fan de K.Fasset et pour son déménagement, je lui ai offert un quilt...tu sais quoi ? Jamais je n'aurais cru prendre autant de plaisir à le faire ! Les couleurs pétillantes de ce createur nous mettent de bonne humeur ! Everyone's projects are so pretty. 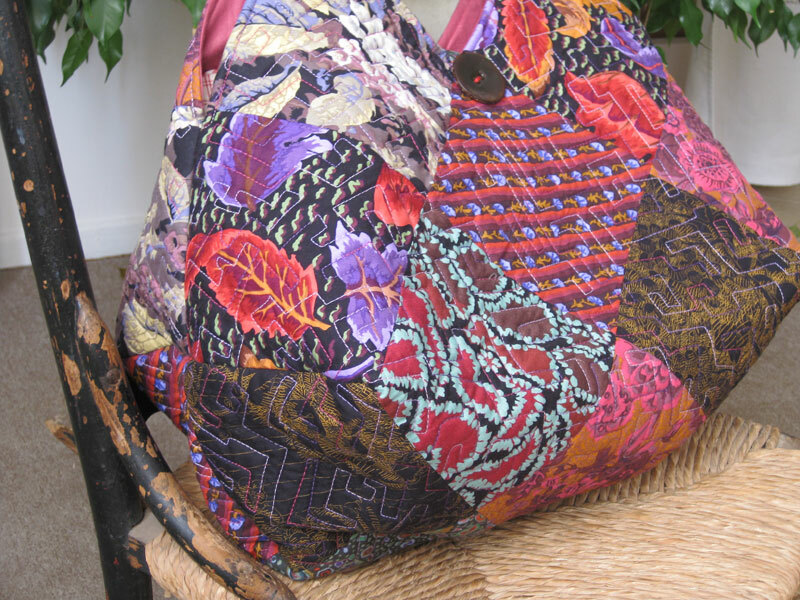 I especially love that bag! The tart looks so good. 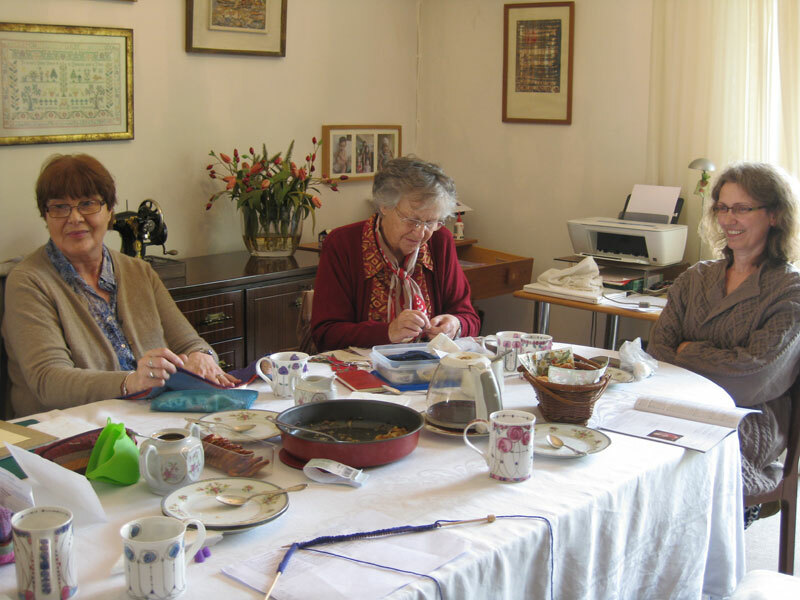 It is wonderful that you have a group of friends to gather with and sew and share. It looks like you have a dream come true with your group of creative friends Christine! It is a real treat for us to see the wonderful Kaffe projects. He's one of my favorites! 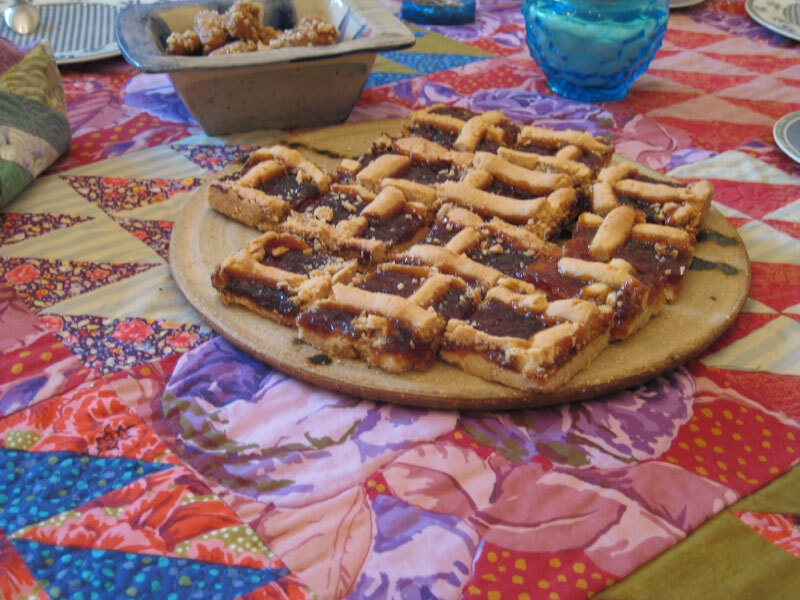 Your meeting looks delicious as well as creative!